In the UK there is a strong mistrust of the government’s inflation figures. People often feel that their cost of living is rising faster than official CPI statistics. CPI inflation is calculated using a comprehensive price survey of 1000 of the most popular goods and services. However, there are a number of reasons why people feel inflation is increasing faster than government statistics. 1. CPI excludes housing costs. The official measure for inflation used to be the RPI. 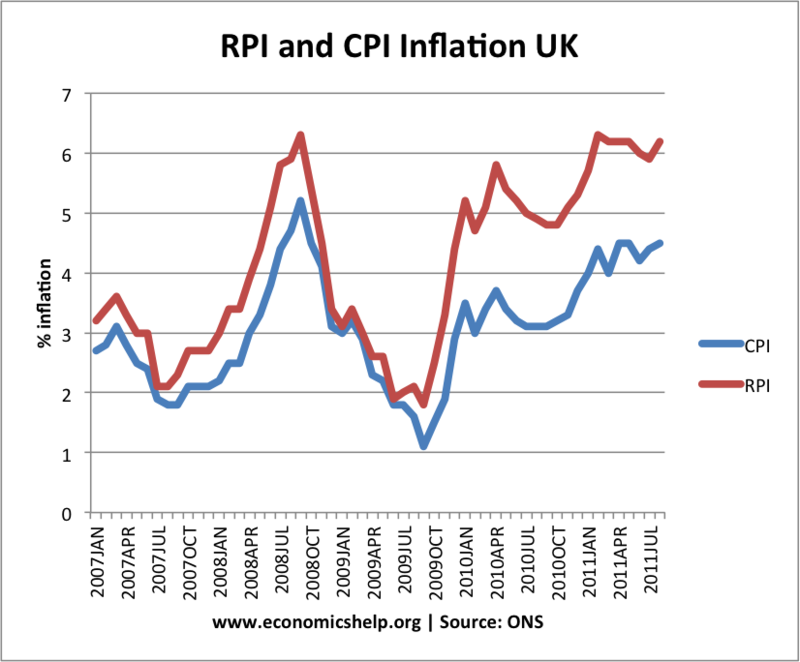 RPI inflation is currently higher than CPI; RPI inflation is closer to 4%. 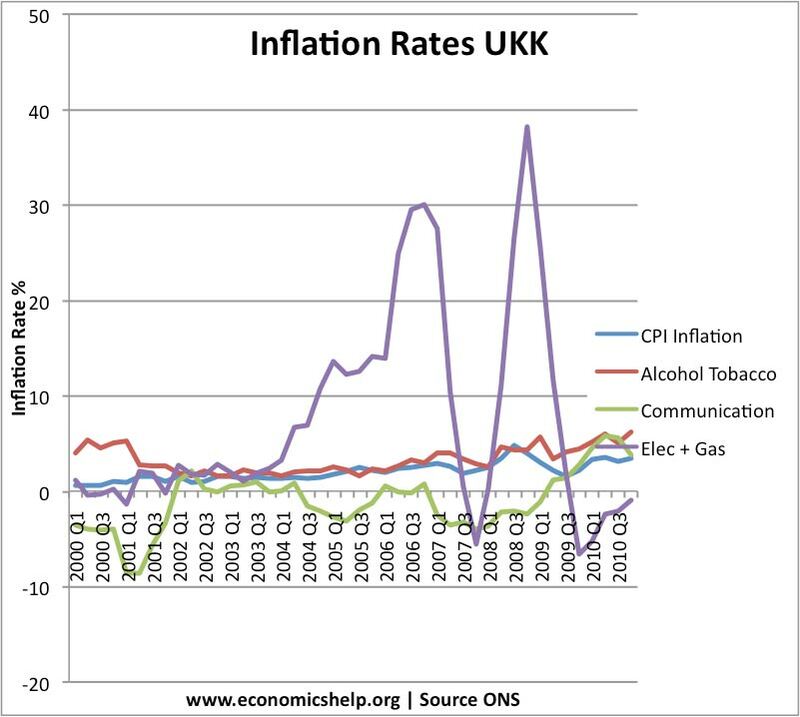 The CPI also excludes the council tax increases that have been rising faster than inflation. 2. There is a variance within the average basket of goods. The average inflation rate is 4%, but some goods like food, energy and petrol prices are rising by up to 15%. If you spend a high % of your income on these goods your personal inflation rate will be higher than the average inflation rate. For example, the inflation rate for many pensioners is higher than the average because they spend a high % of their income on energy and food. However, if you spend a large % of your income on electronic goods your personal inflation rate may be less than the national average. Some people who may be adversely affected are those who are currently re-mortgaging. The cost of a fixed rate is significantly higher than 2 years ago. Their effective cost of living may be increasing very significantly at the moment. This is ignored by the CPI. 3. Psychology. You might argue that people tend to remember bad news more than good news. For example, the increasing price of petrol is well documented by the media and there are constant reminders as you drive around. However, it is easier to forget that the price of computers and mobile phones are becoming better value. Therefore, because we give more weight to ‘bad news’ rather than ‘good news’ our perceptions on inflation may be wrong. This entry was posted in inflation and tagged cpi, inflation. Bookmark the permalink.